Pulsation's body-based approach to personal growth is deeply rooted in the revolutionary work of Wilhelm Reich, and is guided by some of the ‘maps’ of body-energy flow which he discovered. Techniques using breathing, body movements, and expressive sounds form a framework to explore the tensions and blocks which have formed in the body over many years of conditioning and repression. Pulsation restores a sense of wholeness by reclaiming the rejected and disowned feelings which we have pushed down into the unconscious, the ‘basement’ of our being. Through deep neo-Reichian breathing and direct ‘hands-on’ work to loosen the muscular armor, we tap into biological and instinctual layers which connect us with the life force itself. Once the inner pressure of unexpressed energies is released, a profound relaxation follows, deep into the core. We are able to settle into ourselves more easily in silence and meditation. The Osho Pulsation Workshops are focused on self-exploration and personal growth. Typically the workshops are 3-5 days long and open to everyone. Together we rediscover our feelings of aliveness by coming back into contact with the body, its natural sensitivity, energy and ‘juice’. We will use neo-Reichian deep breathing to recharge the body with vitality, and bio-energetic exercises to loosen muscular blocks and help the bio-energy to flow again. Unexpressed feelings can come to the surface and be expressed through powerful bodywork and emotional release structures. Through movement, dance, Chakra energy work, and meditation, we will wake up to a new aliveness, a fresh sensitivity, and our natural expressiveness. What personal benefits, results, and changes can you expect from your participation in an Osho Pulsation workshop? 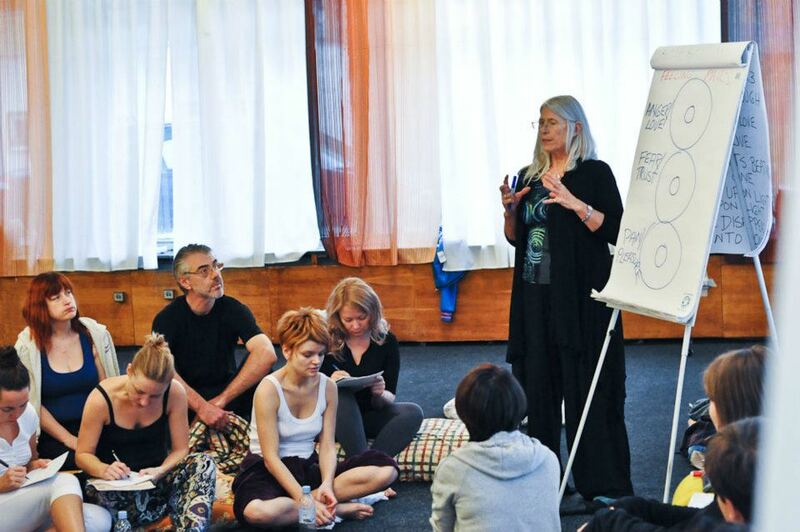 Osho Pulsation Trainings are designed as a deeply transformational journey for yourself and as a great way to learn and practice neo-Reichian breathwork practitioner skills. What personal benefits, results, and changes can you expect from your participation in an Osho Pulsation training? As a professional, what skills will you learn in this training to support your work with people? 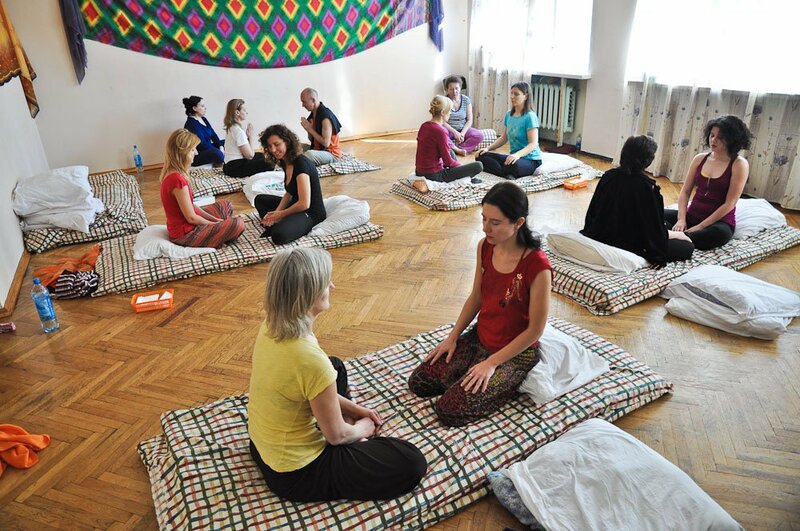 This level gives students an opportunity to learn and practice the hands-on techniques of Osho Pulsation through individual session exchanges with other trainees in the Training. This provides the opportunity for participants to continue their own personal work, (receiving sessions) as well as practicing the skills of session giving. The supervision groups are tailored to people who want to perfect their neo-Reichian session giving skills, continue personal work and receive constructive feedback. One of the best ways to experience the benefits of Pulsation without having to commit to a whole workshop or training, is a one-on-one individual session with an experienced Pulsation practitioner. Typically those sessions have a duration of 1 - 1.5 hours. In a session you are assisted with re-activating your natural breathing and invite the body to follow its spontaneous movements and sounds, allowing those old feeling to come alive. Expressing whatever feelings, words and gestures come up in a safe environment feels very healing and enlivening. Often people experience profound and liberating insights about themselves, their life and their relationships. This process liberates our life energy. Instead of being occupied with emotion-mangement and self control, the same energy can flow into compassion, trust, playfulness, sensuality and all the other juicy goodies life has to offer. At this time Aneesha herself is only available for individual sessions for her training participants. However, there are many very skillful practitioners around the globe, who have been trained by Aneesha to do this work. Many of them are combining Pulsation with other healing modalities like energy-work, hypnotherapy or chakra work, just to name a few. If you are interested in an individual Pulsation session, please look at our list of pulsation practitioners, all of who are endorsed by Aneesha. If you can't find one there, please contact us. Pulsation classes are a great way to experience the joys and benefits of Pulsation without having to commit to a whole workshop or training. Classes are being offered around the world by Aneesha's graduates. Classes typically they have a recurring format, like for example an evening a week for several weeks, a day a month for several months, a weekend or similar. Please contact one of the Pulsation Practitioners near you to find out about Pulsation classes.